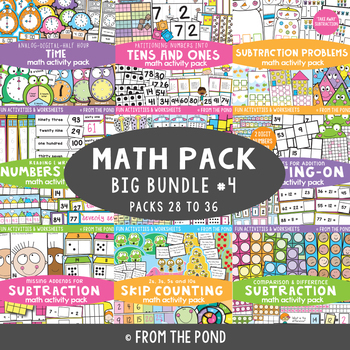 This is a huge bundle of our Math Packs. It contains 45 math games/centers to complement your math program and lessons when complete. Activities are games or centers that are carefully designed to explore the concepts in an engaging and motivating way.